whootah.com » Blog Archive » Theme Park Reviews NEW VIDEO! YAY! Theme Park Reviews NEW VIDEO! YAY! 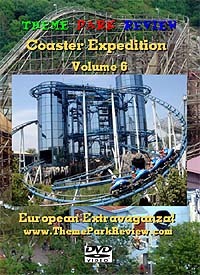 Coaster Expedition Volume 6: European Extravaganza! Our coaster friends over at Themeparkreview.Com are now shipping their new video! Check out this awesome collection! Click on the Title above! This entry was posted on Tuesday, October 11th, 2005 at 9:47 am	and is filed under General. You can follow any responses to this entry through the RSS 2.0 feed. You can leave a response, or trackback from your own site.